Looks like something is cooking. Is the Boss working on a project with the "Based on logistics crooner"? 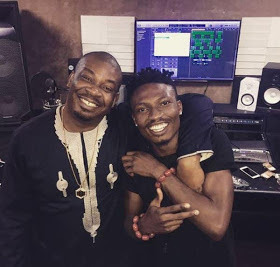 0 Response to "BBnaija Winner Efe Spotted With Don Jazzy In The Studio (Photo)"